Automated calls - i.e. Calls from Robots - are estimated to make up nearly half of every phone call in my United States (Source: First Orion, a phone security company). Back in the day of land lines, not such an issue...we aren't home all THAT much. Today, with mobile phones dominating the landscape, this is a much bigger concern. Fortunately, there are some relatively simple things you can do to avoid the calls. A few years back, it was relatively easy to spot a solicitation call. Specifically, if the number was a toll-free number or out of your area code, your antennae probably went up. Now, with a technique called "spoofing" (there are a multitude of dubious definitions), callers can imitate either your home area code or the area code to which your mobile phone is registered. Soon, the major cell carriers (Verizon, AT&T, T-Mobile, etc.) will introduce caller authentication protocols making "spoofing" more difficult. Additionally, in the never ending games of cops and robbers, you can also employ some other techniques to further protect you from these nuisances. Block Unwanted Callers. Go to the "Recents" on your phone call list and press the circular information icon. You will see a "Block This Caller" button. Enter "Do Not Disturb" Mode. This mode will block any calls from callers not in your contact list. While you may miss some calls that could be important, you will not be bothered by spammers. 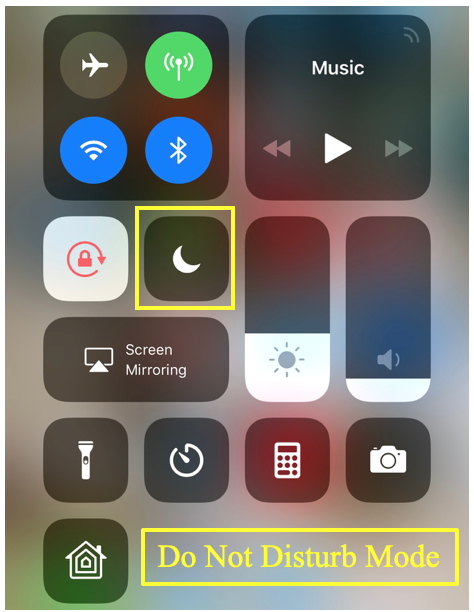 On an iPhone, the do not disturb is the half moon on your control panel where you can set the volume and brightness. After the 90-day period, you have to re-do the blocking steps. However, most carriers have some sort of premium service that enhances call blocking capabilities. The fee is not too expensive - perhaps a few dollars - though it is yet another monthly fee should you choose to go this route. Nomorobo. This app compares the caller's number to a known list of bad actor's numbers. If there is a match, it blocks the call. The service is free for 30 days and then there is a fee for month-to-month or an annual option. Truecaller. This app allows you to search a known-list of bad numbers to see if a caller was indeed a spoof. Moreover, when you receive a call, the app compares the caller ID to a known list and forewarns you of the spam call. Hiya. This app has a robust free version allowing you to ID most Robocalls via a database of "hundreds of millions of phone numbers" (Source: App Store). The free version comes with spam, scam, and robocall identifying a blocking features. The premium version adds enhancements to these features. The free version of Hiya is a pretty good place to start if you are considering an "App-based" defense. This is probably the simplest and most straight-forward technique there is. You can register your home or mobile phone number here. For whatever your opinion may be of government services, I have to admit they did a great job with this website. In addition to registering, if you are called after 31 days on the registry, you can report unwanted calls here. 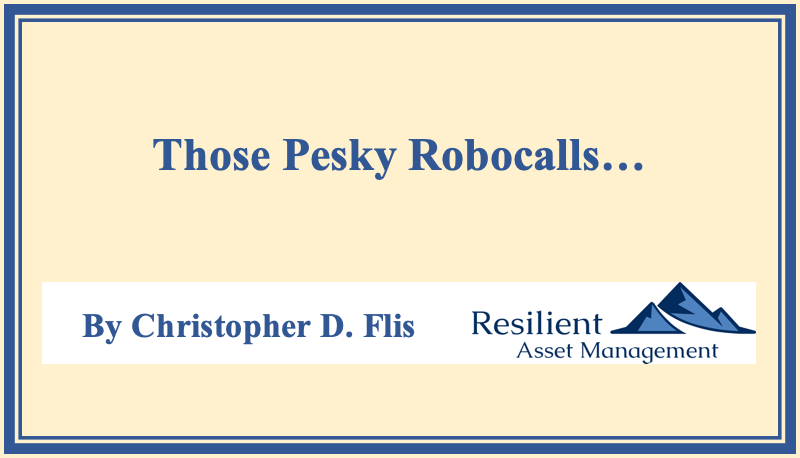 While Robocalls can be annoying - not good on most days - they can also be financially hazardous. It would be a shame to see a lifetime of building a financially secure future bamboozled because of some unwanted call....this has happened. Indeed, in New York, the Attorney General announced a phone scam targeting Chinese immigrants that netted $2.5 Million from 21 victims just since December, 2017 - that's almost $120,000 per victim. That can certainly put a dent in some people's retirement plans. Equally tragic, another favorite target of scammers are the elderly. You can read about an unfortunate then 68-year old woman here. Similarly, a 79-year old man was scammed out of about $700,000, which is detailed in this story. For most, the tales I have spoken of here are familiar and the defenses are perhaps common sense. However, spoofing and scamming still pervades the landscape despite how obvious the schemes appear. So, while also being vigilant in your own efforts, be mindful of the less hardened targets in your lives, namely the young and the elderly...you don't want loved ones becoming "a scam story". If none of the above techniques work and you find yourself on the other end of an unwanted call, the simplest thing to do is hang up. Remember, the police are NEVER on their way while you are on the phone. Moreover, the IRS will effectively never initiate an inquiry of significance with a phone call....they generally start with a letter. And to my knowledge, the IRS does not accept Visa Gift cards for payment. And for those wishing to indulge an unknown caller by answering some of his/her questions to entertain yourself. Remember, phone criminals hone their craft day in and day out for a "living". What starts out as a joke may end up with you providing some kernel of information that weakens your defenses. So, to be safe, remember the old saying, "Never wrestle with a pig - you'll both get dirty, but the pig will like it".